In a high-level side event of the 73rd UN General Assembly, Estonia and the United Nations Development Programme (UNDP) launched their cooperation project to support the digital transformation of UNDP and developing countries. The aim of the project is to share Estonia’s e-governance expertise with nearly 170 countries and territories. The Ministry of Foreign Affairs of Estonia will provide a seed funding of €102,000 to launch the project. 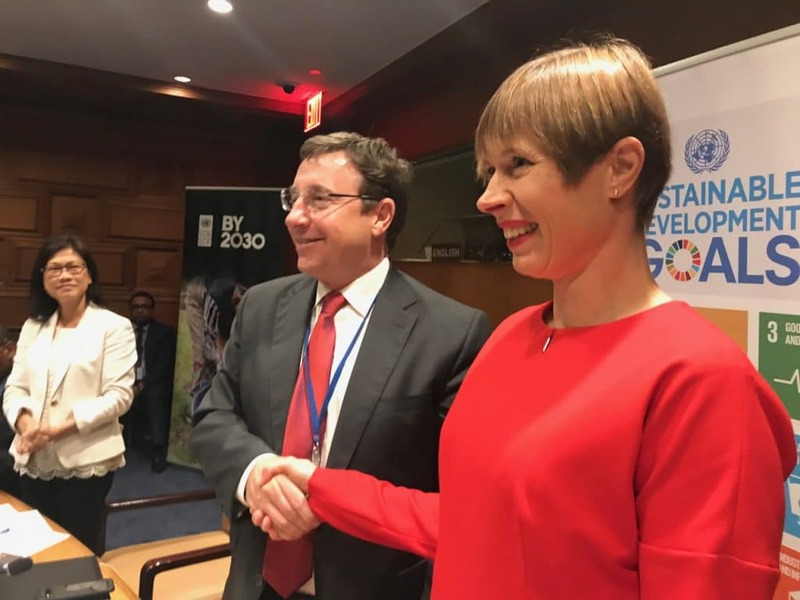 The cooperation agreement was signed by Ms Kersti Kaljulaid, President of Estonia, and Mr Achim Steiner, UNDP Administrator. “Too often digitalisation within countries happens in isolation, effectively meaning that everybody is inventing the wheel. It makes a lot of sense to bring the best practices and the best experts together in one project that has the ability to impact many countries,” President Kersti Kaljulaid explained why Estonia decided to join forces with UNDP. The government digital transformation project will be implemented by UNDP and Estonia’s E-governance Academy and the seed funding of €102,000 will be allocated from the foreign ministry’s development and humanitarian aid fund. “It is a very big honour for eGA to assist UNDP’s grateful work in developing countries. This cooperation gives eGA an excellent opportunity to share digital transformation expertise and lessons learnt even more broadly and engage the know-how of the Estonian government and IT sector,” said Hannes Astok, Deputy Director of e-Governance Academy. So far, e-Governance Academy has empowered e-governance in more than 90 countries and cooperated with more than 130 organisations worldwide. UNDP is the UN’s global development network working in more than 170 countries. The organisation aims to reduce poverty in developing countries and support states in their development agendas and strategies and in using money more efficiently. UNDP focuses on the development of democracy, crisis prevention, poverty reduction, environmental sustainability and HIV/AIDS prevention.